A bouquet of flowers sat on my desk. 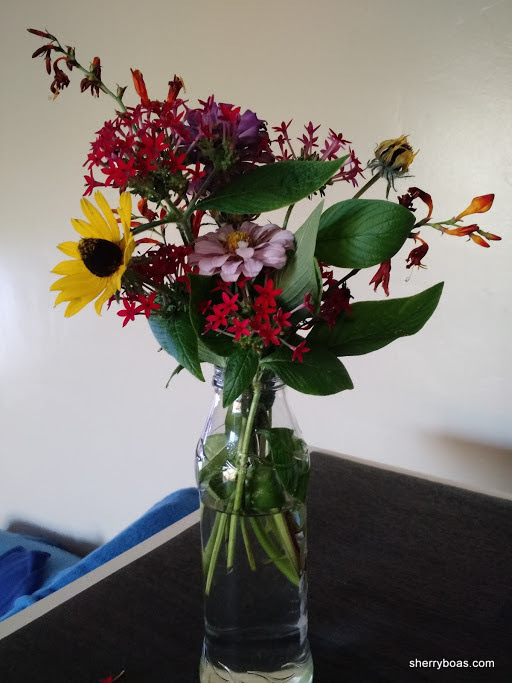 A few sprigs of red pentas rose from a recycled glass bottle along with a couple pink zinnias, some fading blooms from a walking iris and three bright-eyed Rudbeckias, better known as black-eyed Susans. I picked the bouquet at my daughter Amber’s house eight days ago. After seven days, it was old but still pretty. A few of the red flowers had fallen off the pentas, the petals on one of the Rudbeckia blooms furled, and the orange walking iris blooms shriveled up but were still attached to the stems. Same flowers. Same vase. Seven days later. Although the flowers were no longer fresh, I still found the bouquet refreshing. 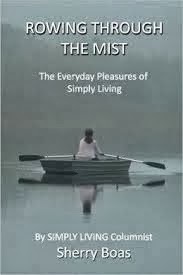 Every glimpse, no matter how brief, was a balm of beauty soothing away tension and everyday stress. 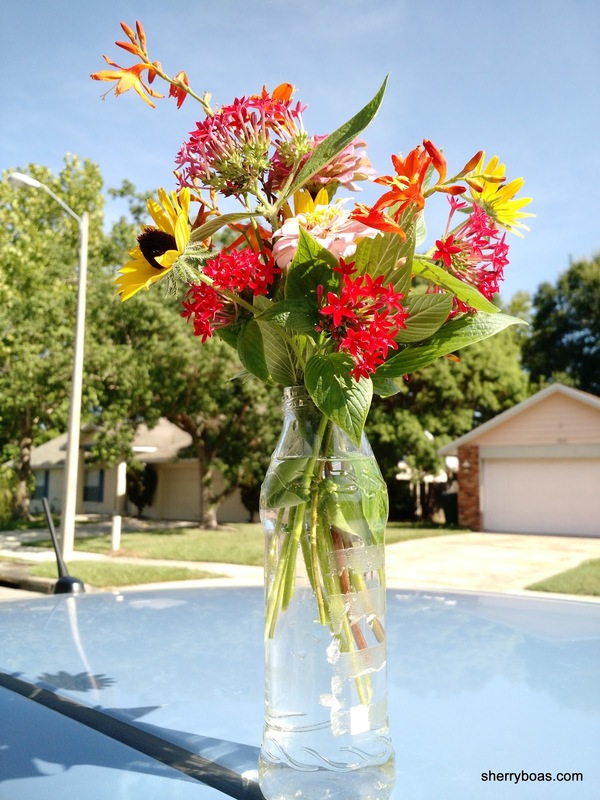 Initially, the flowers in their makeshift glass bottle vase spent time in my car. 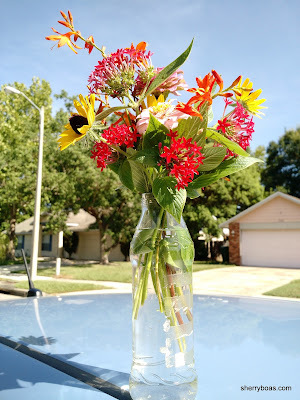 To avoid spilling, I placed the vase in one of the car’s cupholders on the ride back to my house in Groveland from Amber’s home in Winter Garden. Rather than take the busy highways, I took back roads to have a calmer, more peaceful ride. It probably was less busy on the two-lane roads I chose than it would have been on State Road 50 or Florida’s Turnpike, but it certainly wasn’t calmer or more peaceful. The route took me by several new housing developments under construction. Acres of woods had been denuded of trees and underbrush in the two weeks since I’d last been there. Huge homes on tiny lots were now in the process of being built. As my eyes took in the ravaged landscape, my previously bright mood darkened. So many trees cut down. For what purpose and at what cost? What became of the wildlife that lived in those woods? Where did they go? 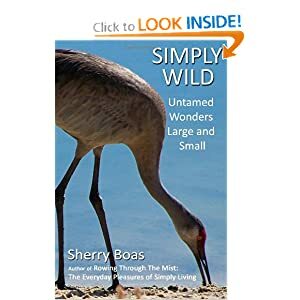 How many gopher tortoises, Florida scrubjays and other endangered or threatened species were killed or displaced once again, thanks to the greedy demands of ‘‘progress”? Seeing the land so altered on a route I had come to treasure for its bucolic appeal made me sad. It also made me mad. 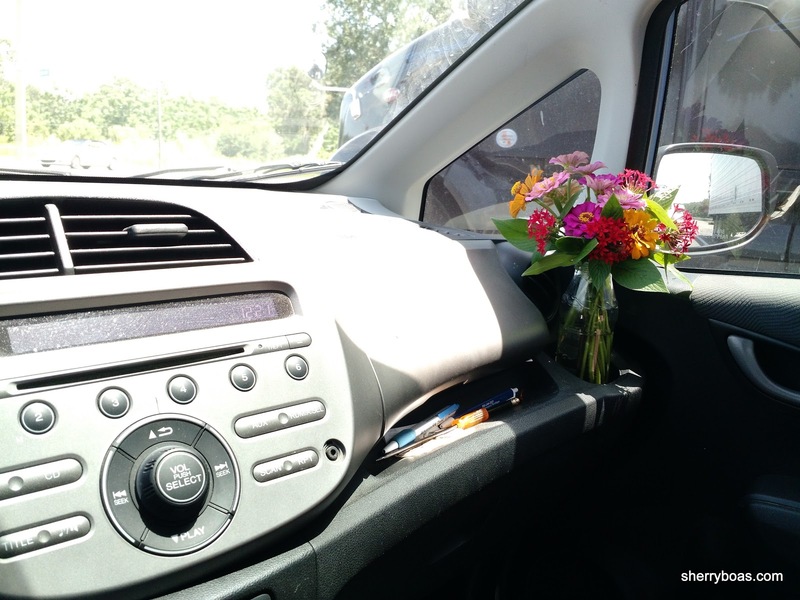 As anger rose like a heat within, I glanced over at my little bouquet quietly emitting waves of calmness from its cupholder stand. I felt my ire ease. Once home, I placed the bouquet by the kitchen sink. 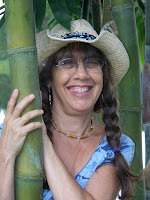 Washing dishes and preparing meals under the smiling eyes of a backyard bouquet made the jobs more pleasant. 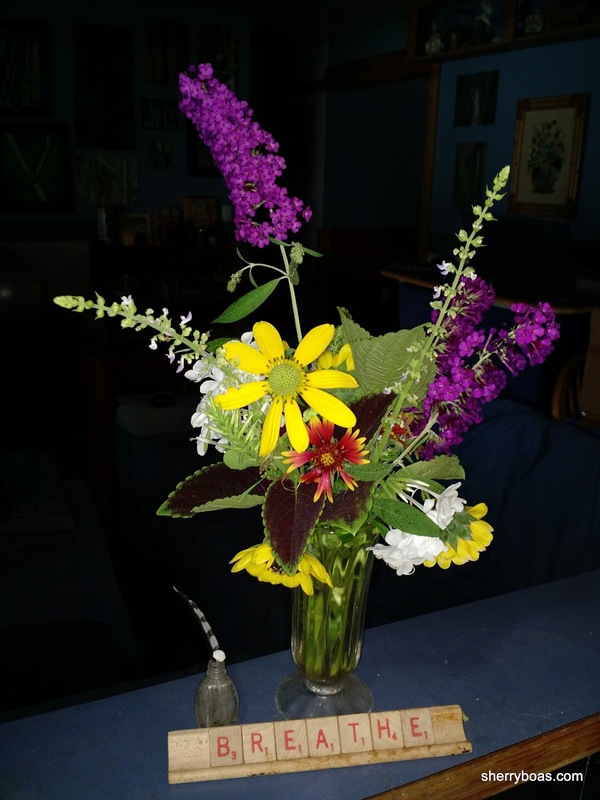 I lingered longer and felt happier having a reminder of my daughter’s garden on the kitchen counter. When my husband Ralph and I went to the beach a few days later, the bouquet came with us. Once again it traveled in the cupholder, holding up well during the 90-minute drive. At the beach, I put the flowers on the same desk as my computer. With all the distressing news of the past week — senseless murders, terrorist attacks, outrageous political pontificating — the bouquet’s placement proved to be perfect. It eased my mind when news reports hammered away at my sanity with their repetitive messages of mayhem and turmoil. A quick look at my slightly wilted bouquet helped inflate my spirit. Even as more and more flowers began fading, I admired the bouquet’s ability to hang on. It was only on the day we left New Smyrna Beach for our South Lake County home that I decided it was time for the bouquet to go. 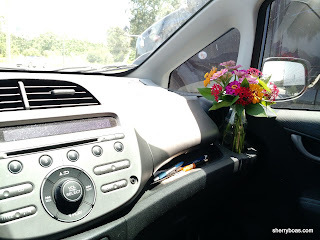 Initially I planned to take it back to Groveland with me, but after only 15 minutes in the hot car, even I could see that my pretty posy had done as much as it could do to provide cheer and goodwill. If you read, watch or listen to the news, the world can seem like a mighty depressing place. Hope vanishes with the headlines. Sanity is usurped by political posturing and ugly rhetoric. Yet something as simple and earthy as garden flowers can reconnect us to what’s real. It reestablishes perspective. It’s a reminder of beauty. I’m back home now. I just returned. The car is unpacked, food put away. I’ve watered the plants, fed the birds and started a load of wash. Now it’s time to pick a new bouquet.